While we here at the Museum Shop are located in a museum with a global, encyclopedic collection, there's no denying our appreciation for the local creative communities right here in Chicago. For this reason we are kicking off an occasional series profiling some of the many unique, independent and hardworking, artists, designers and shopkeepers who are creating, curating and distributing goods and inspiration every day. Creativity is a way of life for Jean Cate, founder, owner and artist-in-residence at her Chicago boutique, Martha Mae. The shop, situated in the Andersonville neighborhood, is stunningly assorted with art supplies and designed objects and is defined by the motto "Art Supplies and Beautiful Things." Stepping across the threshold from the bustling street is practically transformative: one is transported into Cate's aesthetic vision, and it is exquisitely appointed, light-soaked and delicately sublime. 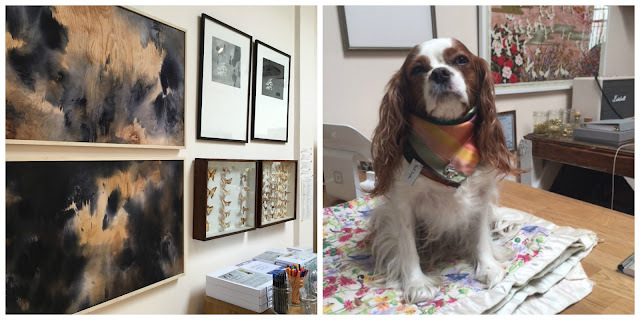 We were fortunate enough to spend some time in the shop speaking with Cate about her finely curated assortment and visual art, and adoring her dog and shop namesake, Martha Mae. Read on and be inspired. We sure are. Your product offerings are so unique and your assortment so beautifully curated. How do you select your offerings? Do you have specific criteria or do you choose based on intuition or aesthetics? I use my mantra for the shop: art, art supplies and beautiful useful things as the armature for my curation. I display my own work (etchings, paintings, drawings) on the walls and carry a few ceramic artists whose work I admire and find engaging. In terms of products, tools and supplies, I look for high quality, well made things. Above the intellectual framework, aesthetics are the guiding force of my curation. There is an idealism behind my aesthetic sensibility: if something is beautiful, of quality materials and well designed it will be its most functional and enduring. How has Martha Mae evolved since you opened and do you have any future plans/goals/objectives? 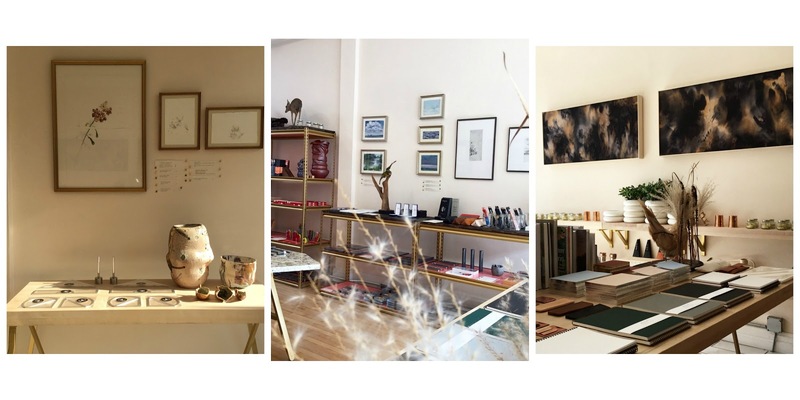 The shop began very small, with few framed drawings and a curated selection of products. From there it has been a constant process of evolution building out the shop, bringing in new products and making more artwork. The next major shift will be expanding the retail area by pushing back the register, building out the new found space, and bringing in some new lines from Paris and Denmark to occupy it. You are also a talented visual artist. 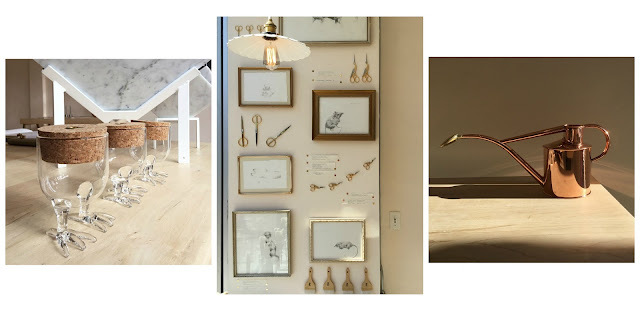 Is the shop in anyway inspired by your art or vice versa? How do you balance the responsibilities of a busy shop owner with your personal practice? A main motivation for opening the shop was to have a space to show and sell my work, but I also approach the shop as an artwork in itself. Composition, color, visual harmony is and has always been at the forefront of my mind when designing the shop. I don't differentiate between mediums, whether it is drawing, painting, bookbinding, ceramics, shop displays or getting dressed. I think and communicate visually. I find balance elusive and difficult to manifest in my daily life, so for the time being, the majority of my time is spent on my responsibilities as a shop owner, then when the demand/ need arises, I make. I find my practice to be a welcome refuge from the very social performance of running the shop. Thank you Jean Cate and Martha Mae! Visit ARTifacts or sign up to receive the blog for future profiles of local creatives.